The Final Conference of CANGENIN was organized in Barcelona, Spain, April 15th-17th, 2012. Local CANGENIN organizers: Travis Stracker and Angel Nebreda, Institute for Research in Biomedicine, Barcelona. Please register by returning the registration form, which the local organizers have e-mail to all CANGENIN PIs, to cangeninbcn@gmail.com before February 21st. The meeting homepage can be found here. For each CANGENIN member group, participation will be supported for the PI and max. two students or postdocs. The compensation will cover a substantial portion of the meeting and travel expenses. Accommodation for a total of two nights (Sunday and Monday nights) and meals will be reimbursed with 320-360€. Travel expenses will be compensated up to at least 455€ (CANGENIN will probably be able to fully cover the costs of economy fare air tickets and local transportation). The participants will be directly reimbursed after the meeting. Each participant is kindly requested to reserve and pay their economy fare air tickets. The local organizer will organize the accommodation and meals at the hotel and will invoice each CANGENIN participant with an attendance fee to cover these costs before the meeting starts. The amount of the attendance fee is 400€. All CANGENIN participants, except Management Committee members, have to submit an abstract and have a poster or oral presentation at the meeting. Each participant should register in e-COST (https://e-services.cost.eu) before the meeting starts to obtain their reimbursement forms. The reimbursement form will be sent to you by an e-mail link from e-cost@cost.eu in March. If you have not received this e-mail by April 1st, 2012, please contact Merja Voutilainen, University of Helsinki (e-mail: Merja.Voutilainen@helsinki.fi). Follow the instructions in the e-mail to receive you reimbursement form. Please note that you need to confirm your participation and intention to submit a claim via e-COST before you have access to the reimbursement form. This needs to be done before the meeting starts. Complete, ideally electronically, the reimbursement form before the meeting and bring it with you to the meeting. Hand over your travel copies with your signed reimbursement form during the meeting to the CANGENIN representative. Make a legible copy of your air/train tickets as well as your travel agency invoice before the workshop and bring it with you to the workshop. All transport tickets must indicate the total price, the departure and arrival dates as well as the departure and arrival city. Air tickets must also mention the departure and arrival time, the ticket number (not the booking confirmation), the booking class (economy) and the name of the passenger. For local transport expenses no receipts are required under a total of €25 (out & return); above €25 in total for the entire trip all receipts must be added to the reimbursement form. Taxi fares are only reimbursed where no reasonable public transport are available and are limited to €40 in total for the entire trip; taxi receipts are always required. The travel costs will be reimbursed with at least 455€, but CANGENIN will probably be able to fully cover the costs of economy fare air tickets and local transportation. Sign the attendance list on each day of the meeting. The 7th MC meeting will be held in the morning of April 17th, 2012 during the final conference in Barcelona. General COST Travel-Subsistence guidelines may be accessed here. The 1st Annual Conference “Cancer and Control of Genomic Integrity” was held on September 26-28, 2008 at the KolleKolle conference center in Copenhagen, Denmark. The AC was a combined COST and NordForsk meeting. Organizers: Claus Storgaard Sørensen, University of Copenhagen, Denmark, and Randi G. Syljuåsen, The Norwegian Radium Hospital, Norway. The meeting program can be found here. The 2nd Annual Conference on “Cancer and Control of Genomic Integrity” was held on August 21-23, 2009 in Stockholm, Sweden. The meeting was a combined COST and NordForsk meeting. Organizer: Thomas Helleday, Stockholm University. The 3rd Annual Conference was held in Milan, Italy, on November 20-23, 2010. The meeting was co-organized by NordForsk and the GENICA FP7 Health Programme. Local CANGENIN organizer: Bruno Amati, European Institute of Oncology (IEO), Milan. The 4th Annual Conference on Cancer and Control of Genomic Integrity was organized together with the NordForsk network on September 30 - October 2, 2011, at the NH Hotel at Zandvoort, the Netherlands. Local organizers: Jos Jonkers, Netherlands Cancer Institute, Amsterdam and Rene Medema, University Medical Center, Utrecht. "The 2nd Genomic Instability Workshop" was jointly organized by CANGENIN and GENICA FP7 Health Programme in Athens on May (16)/17-19, 2009. CANGENIN organizer: Thanos Halazonetis, University of Geneva. 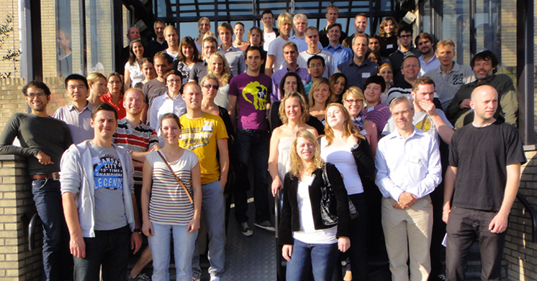 “The Workshop on Innovative Mouse Models” was held on June 25-26, 2009, in Leiden, the Netherlands. The workshop was organized by CANGENIN and the ESF Programme on Frontiers of Functional Genomics. CANGENIN organizer: Jos Jonkers, Netherlands Cancer Institute. The WG1, WG2 & WG3, and WG4 meetings were held on Friday, September 26th, 2008, at the KolleKolle conference center in Copenhagen, Denmark. A joint WG1-4 meeting was held on Sunday, November 21st, during the 3rd Annual Conference in Milan.